We will first stop in the town of Mosta which lies at the heart of Malta, who’s name derives from the Arabic 'musta', meaning center. Here you will have a brief photo stop to admire from the outside the parish church, known as ‘Mosta Dome’, which has the fourth largest dome in the world. From Mosta you will proceed to the old fortified city of Mdina, the so called ‘silent city’. The highlight of the tour is a walk around the old capital city at night, beautifully lit, creating a quaint, unique atmosphere where time stood still. 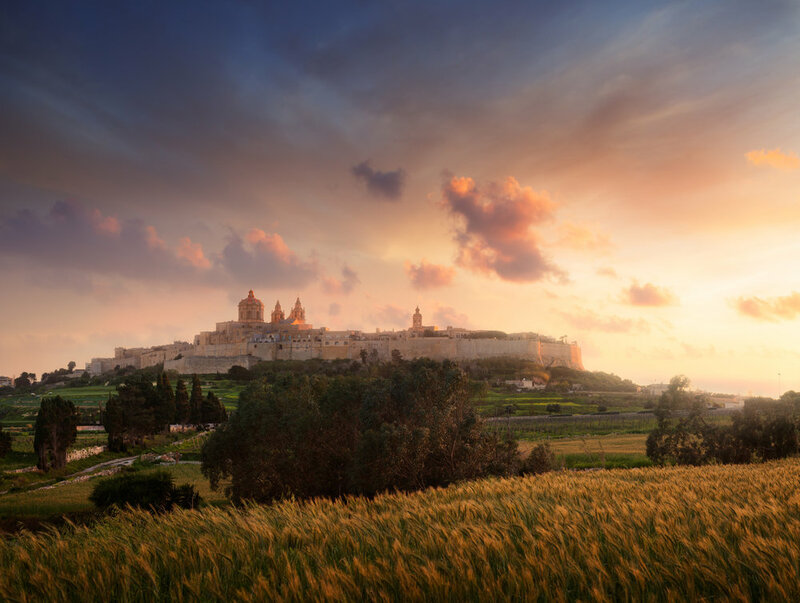 From the ramparts of Mdina you will be able to see practically half of the island sparkling in front of your eyes. Dinner is optional.